Has anyone out there worked with a consultant from management success or ATI? Thinking about joining one of them. They both are pricey but seem like they have a lot to offer. Any info would be appreciated. I have gone to both of there seminar’s. Sound great. But what are they telling you? They are telling you to watch the bottom line. I think that if you read the posts here you will save alot of money. The biggest thing is becoming consistant each and every day. > Has anyone out there worked with a consultant from management success or ATI? Thinking about joining one of them. They both are pricey but seem like they have a lot to offer. Any info would be appreciated. We are a very satisfied Management Success customer. Lots of good things to say about them, including that they basically showed me how to save my business. Very few if any bad things to say about them from my experience, I have read of a few bad experiences but that was not what I saw when I dealt with them. They are very serious about making you better. I have been through Managment Sucess but I chose to DROP OUT. I found the constant pressure of their scientology beliefs to be incompatible with my value system. I have found many of their ideas useful. But the high pressure sales they use don’t fit my small town attitude. I have worked with ATI and have a manager that did Management Success and he now works for me. His business went under and he mentions the Scientology thing. I have only great things to say about ATI and tell anybody that don’t do it if you are not willing to make some big changes. I decided I would make the changes they recommended and it was effective. Not to say that I don’t have more improvements to make. I have worked with Management Success since 1996. I did a seminar and signed up. My consultant was Larry, a very knowledgeable man. We worked on my statistics, and my marketing. I found that I wasn’t making money when we did my statistics, which I knew. But we started the marketing, mailing out to me customers. We increased my business from $18,000 per month to $28,000 in the first four months. I continued with the marketing with Larry’s guidance and we got my shop up to $60,000 per month, with some peaks at $75,000. I had a 30×80 building with two lifts when I started. I installed 4 doors on the side of the building, poured a 24×80 slab, installed a 26×80 awning, installed 3 lifts inside, and 3 lifts outside under the awning. I had 3 technicians working for me, all producing 36-45 hours a week. In 1996 Larry forced me to open up a reserve fund, a building fund, a payroll account, a savings account, and a general fund. And I put money that I didn’t have, or thought I didn’t have, for a total of 12% of my gross sales. I told Larry many times that I didn’t have the money to put in these accounts. He told me “trust me, just do it.” All my bills got paid, even though I put the money aside. In 2005, I was diagnosed with bladder cancer. I went through the surgery, and everything was okay after that. No more cancer. But in 2007, I had a minor heart attack. I went through the MRI and they thought they saw something in my heart, and they did a heart cath. The dye from the heart cath caused my kidney to fail. In 2009, I went on dialysis 3 days a week, 5 hours a day. I ended up closing my shop and retiring. But because of Management Success and their hounding me to put $2000 in the retirement away, plus the reserve funds and everything else, now I’m retired with a respectable income coming in, and living good. I fell like I owe my life to Management Success. Pursuant to what I’ve read in other comments. They offered a course self control and alleviating stress and it was very beneficial to me. They didn’t talk to me about religion. As a shop that’s been with Management Success that did what they told me to do, I succeeded. So I know that any shop that signs with Management Success will succeed. I can name 15 shops that did the program with me and succeeded. You don’t know what your future is until you give your future a chance. Good Luck! I have attended seminars from both companies you mentioned. I must say that the attitude of “It’s your money, it’s just in your customers’ pockets” a little off-putting. It is not your money, it is their money to spend as they see fit. It is your job to show them reasons why they should spend it with you. And I did not see how either company really did that. I’m limited by my confidentiality agreement with Management Success as to what I can say. But either way you will spend many hours earning the money to pay for their services, or you can spend many hours reading the comments here and on other automotive industry forums. And from my experiences I would suggest that you make sure you can cancel at anytime with no further financial obligation, or pay-as-you-go if you will. That way THEY must earn your business and your hard earned dollars. Otherwise if you are locked in, what incentive do they have to make sure you succeed, they got their money. 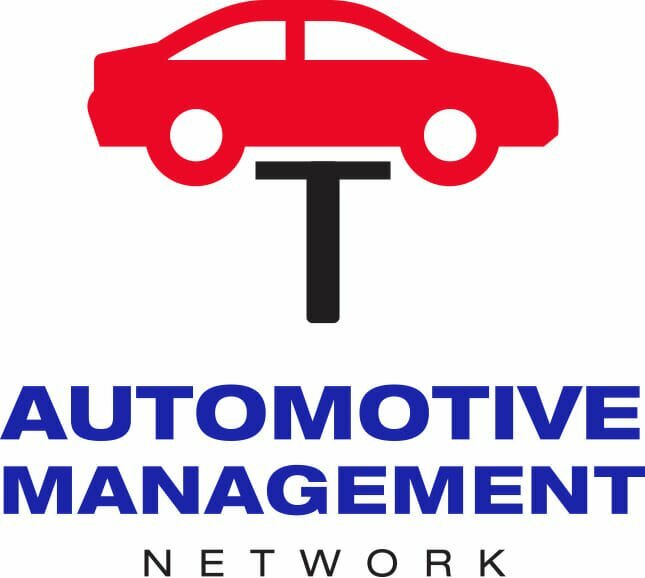 So my advice is lock yourself in your office for a couple hours or so each week, join automotive management forums with search privileges and read, read, read. If after a few months you still feel the need for a coach, i have heard great things about AutoProfitMasters. But like I wrote, make sure you can cancel at anytime and pay only for services rendered, no pre-payment or long-term contracts. Good luck. Oh, I forgot to mention, after the ATI Cash Profits Boot Camp, which impressed me, they had a representative visit my shop. He reviewed my numbers and without another question told me my problem was my efficiency, at less than 50%. I had only been open about 2 years and it was in the early months of the year, the slow times. I told him I had no problem with efficiency. To me low efficiency is working 8 hours but only billing 4 hours and having to turn away work. To the contrary, and he would have identified my problem better, I had high efficiency. The previous day I had one car scheduled, a 4 hour job that I completed in 3 hours. The real problem was I had no other cars available to fill the other 5 hours. So my problem was not with efficiency, it was with car count and available work. I also think the ATI course would work well with a multi-tech shop,not a one man operation like mine. This is not to say that I am bad-mouthing ATI, I am just cautioning you to question their sales pitch and demand reasons and rationale for any advice. And that goes for any management consulting company. If they aren’t going to guarantee their advice will work, make darn sure they have compelling reasons for you to bet your money on it. to spend the money, however at my partner push we joined and I’m glad we did.